Thank you for writing them…"
Those who are grieving trust their Funeral Provider to suggest words of comfort and tribute for a variety of losses. Poems And Reflections, LLC can be a valuable resource for Funeral Directors/Celebrants by providing a wide assortment of comforting funeral poems and readings to print for those who are grieving. 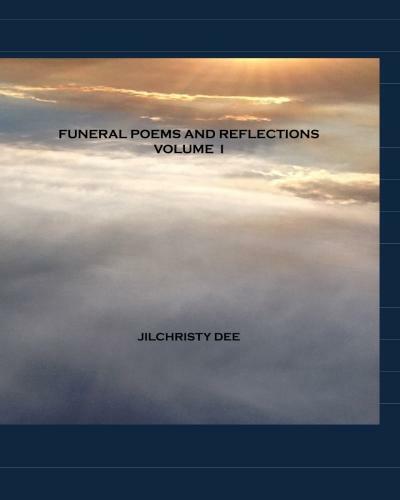 In addition to heart-warming poems and readings for family and friends, this collection also includes poems for unique situations such as: accidental deaths, suicides, long-term illnesses, the passing of a young child or teenagers, drug overdoses, memorial tributes for foster and adoptive parents, etc. ﻿During these times of mourning, where many of the ‘typical’ poems and funeral readings lack the depth of perspective that those who are grieving seek to express, Poems And Reflections, LLC provides words to address these situations with compassion and honesty. We did receive the poems and have been using them. It has been especially helpful to have good selection of poems for our young people who have passed away. Poems And Reflections LLC provides an expansive library of beautiful poems for families including poems for: grandmothers, grandfathers, mothers, fathers, brothers, sisters, husbands, wives, sons, and daughters. ﻿﻿ We purchased your collection because we had several people requesting your poems. Thank you. This collection of poems includes memorial poems and readings for the elderly, poems for veterans, selections that are for a loved one who has passed after an extended illness, friendship readings, religious poems, and non-religious selections. There are also words for cancer, and some poems for individual vocations, such as for a railroad engineer, for a farmer, etc. Finally, there is a selection of grief poems and 'In Loving Memory' remembrance sayings to comfort those who are mourning. 1. An emailed printable master file of over 100 poems , sayings, and funeral readings (these can be read at the funerals, or included as an insert within funeral programs , or printed directly on funeral poems by your organization for your clients. 3. Immediate emailed access to any created poems created within the year timeframe of the site license. (*Note: Poems planned for 2016 include poems for: stillborn births, miscarriages, cousins, step-fathers, step-mothers, aunts, uncles, mother-in-laws, father-in-laws, best friends, younger siblings messages to a brother or sister who has passed away, half-brothers/half-sisters, and many additional vocational and hobby poems (such as dancing, golfing, fishing, knitting, quilting, extreme sports, etc.) These poems are emailed directly to your organization as soon as they are created. 4. Password-protected access for your clients to look up these poems online from the comfort of their own homes as they are selecting their poems/readings. It is our sincere hope that these poems will give expression and tribute to the love, grief, and heartfelt remembrance that your client families are experiencing. We look forward to being a resource that will deepen the relationships that your Funeral Home Organization has with your client families across the generations as you are able to provide such highly-appropriate and meaningful words of comfort during their times of deepest sorrow. To order your Annual Poems Site License and receive the collection within 24 hours, please click the ‘Buy Site License’ button below. 1. Click the 'Buy Now' button. 2. Calculate the total purchase price [$49.99 for one funeral home license (*Note: any additional funeral home sites that are affiliated with your organization receive a 50% discount are are just $25.00 for an annual license for each additional location)] and enter the total price in the 'Item Price' field . 3. *Ignore the 'Update Quantity Field', the purchase price that you have entered already indicates the number of licenses that you are purchasing. 4. Choose between payment options (pay through a Credit/Debit card or through a PayPal account) and enter the payment information. Website Copyright 2010-2015 Poems And Reflections LLC. "Thank you so much for this beautiful poem. My husband's father died a week ago suddenly. He will be reading (poem) at his father's celebration of life next weekend." Andrea M.